If you read my blog regularly, you will know that I just posted my adobo wrap 2 postings ago, and now another adobo post? You might think I'm in an adobo loco mode, right? But ok, with "the move", my kitchen is in its temproary state as my whole pantry is still in transit. So I am only equipped with my Filipino basic ingredients of soy sauce, vinegar, pepper, etc. But when Annapet (one of the co-hosts) invited me to join Bloghop I was curious what it was all about. Well Bloghop is a community of bloggers organized by Junia of Mis Pensiamentos. Each month members cook with one special ingredient, and this month's event is called the apple love. Silly me, despite knowing my kitchen constraints I still joined the group and committed to it. 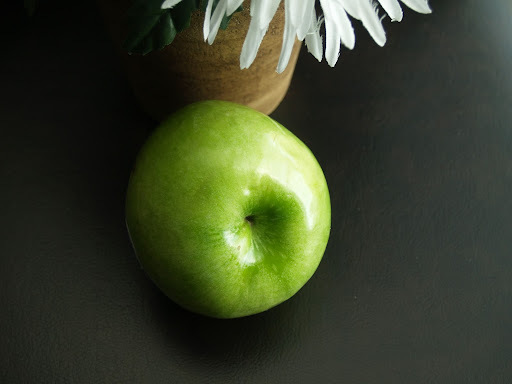 While I was trying to get my inspiration on what to cook, I didn't realize I took 44 pictures of a single apple on my table. A bit excessive, don't you think? I was fiddling with my camera as my thoughts wandered and I suddenly remembered that it's been a year since my father's passing. A year ago, we were all mourning and in grief when Papa died... suddenly our lives changed and believe me we went through the various stages of grief. But we've moved on and a year later, we talk about remembering him through his love for us. So for his first year death anniversary my Mama gathered friends and relatives to celebrate the memories and the life he shared. Similarly, my sister in Orlando gathered her friends who helped her go through her grief. I would politely go to the kitchen and amidst simple ingredients and homecooked food provincial style I would step up to his challenge. I would as Tim Gunn would say it "Make it work" . And when I present the appetizers with a little pizzaz , I could see his face light up - beaming with a wide smile, and hear him say his signature: "Dabe dabest!" (or "This is the best!"). While the rest of my family celebrated his anniversary the way he would celebrate special occasions, I had this simple plate to honor him: an apple cinnamon glazed adobo. I call it my American adobo (a dish I published here two years ago), which was one of my first posts - The Tales of American Adobo. I tweaked it a bit and made it "special" for my Papa. In my head, I heard his Dabe Dabest trademark and picture him loving this "pulutan" for him. Combine all the ingredients (except for the pork) and let it simmer. On a different pan, brown the pork then add it to the simmering mixture. Allow it to cook until the sauce is reduced to a thick one. As soon as it thickens, drop the sliced apples. Make sure the glaze covers the apples as well as the pork. So simple yet so delish! and I am grateful... truly grateful for the kind of father you are.... You have anchored our family with love and faith , so strong and eternal! I love you Papa, Cheers! Please join in on the #applelove fun by linking up any apple recipe from the month of October 2011. Don't forget to link back to this post, so that your readers know to come stop by the #applelove event. The twitter hashtag is #applelove :). I don't mind another adobo recipe. something to try again Malou. Love the tribute to Atty he'll love this for sure. wow! !1 i am learning about adobo for the first time today! first from elizabeth's post and now from yours! this looks DELICIOUS! gonna make this for my family and friends one day! hugs! 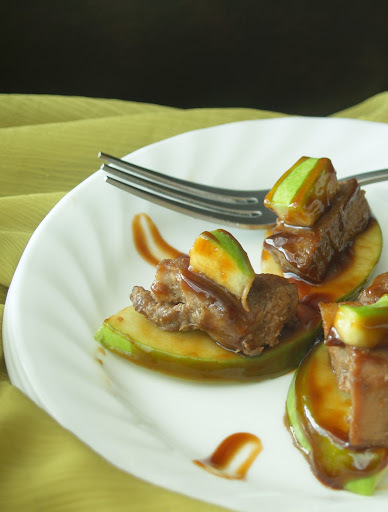 Love your post...great story and even better, apples in adobo...with a twist. Similar to mine, but yours sounds even more special. Glad you hopped along to join us, Malou! What a lovely post and tribute to your father. 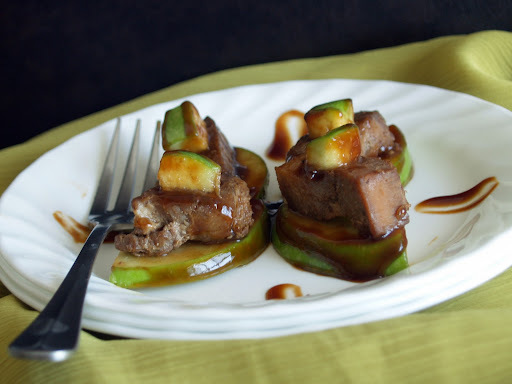 Your Apple cinnamon Glazed Adobo looks fantastic- I'm sure your father would have agreed! I can relate to your post in a way. My dad passed away when I was 16. I didn't know how to cook very well when he was alive and when I made something (I was 12) he praised it so much but I myself couldn't eat it. It was that bland, not bad. Nice pictures. Yummy and the presentation, refreshing!!!! Another one for my appetizer book. Kudos, ading Malou. Deanna: Thank you for your kind words. Happy to have done this with you. TagaTugue: He will definitely will like it as you know he was easy to please hehe. Junia: yeah when I saw Elizabeth, I thought we had similar dishes but I'm glad that we both showcased a Filipino dish. Great job Junia, you definitely did a great job organizing this event. 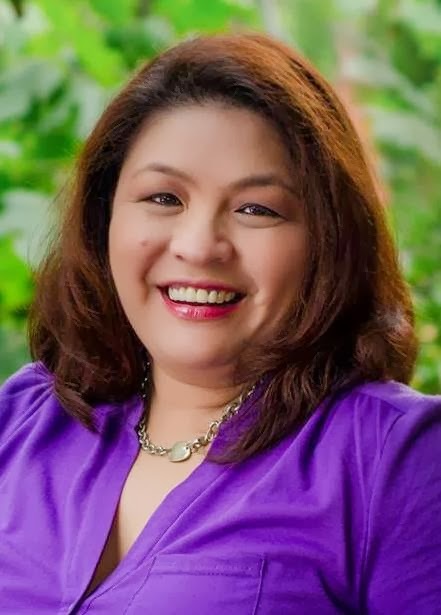 Betty Ann: I'm glad we both did Adobo in a very similar way. 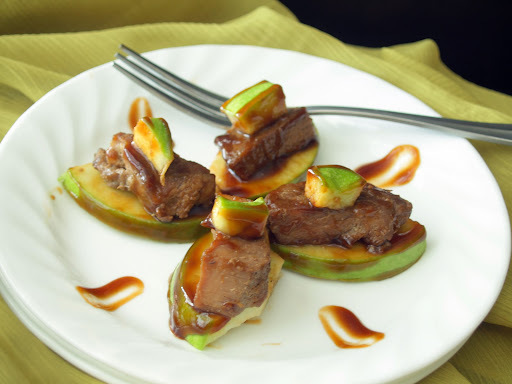 I think it's the tartness of the apple that blends well with our adobo. EA: Thank you for stopping by. He is used to homecooked meals so anything with pizazz delights him. Champa: fathers are sweet to their daughters don't they. That was a sweet gesture from your dad haha. way to boost your confidence. M'Lei" thank you, i hope you will enjoy it as much as we did. What a beautiful story, you must have been very close to your father. 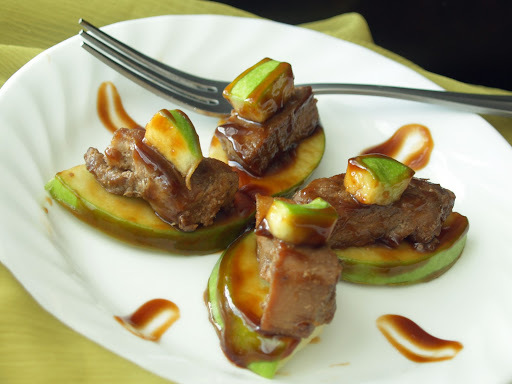 Your apple cinnamon glazed adobo looks delicious! a very beautiful post. my dd doesnt like my creative cooking.. its the same old his mom's dishes for him. Oh, I shall do a vegan version of that :) In fact the apple cinnamon glazed sauce and avocado looked really good with anything else actually! Probably in a sushi roll :) as a sweet kind, what do you think? Thank you so much for your kind tweet and blog comments! Well done, you! And yay for #applelove bloghop. Deb, yes I was. I come from a close knit family and it's really hard to be half a world apart. Richa: oh really? im sorry to hear that. Why don't you try one more time, maybe this time he is more open... I don't know, it's just a suggestion. Rika:Wow you are being so creative! I think it's going to work and with that said, maybe I will be vegan soon haha. Thanks for dropping by. Oooh! That's lovely, simply irresistible. omg! That's a delight! It looks really yummy and it's beautiful! I just LOVE it! This is delicious and I love your presentation! Thanks for the mention, G! I am so happy you are celebrating #AppleLove with us. You are a co-hosting this event, of course. I love the apple touch. Cuts the fat of adobo and wakes up the palate. Yes, me missed you a whole lot after your Papa's passing last year. This is beautiful. Apples is always refreshing companion to eat pork. This is the second adobo in the bloghop and both of them are amazing! I'm going to try it... Besos from Spain! I love your recipe and I was moved by your story. I am sure you're father is so proud of you! I just stumbled upon your site today and I am sure this would not be the last of my visit. It seems that all your meals are served with love & passion. It didn't just fill the tummy but feeds the soul as well.